KAMPALA – Gerald Mayanja, the father of Uganda’s music legend Jose Chameleon real name Joseph Mayanja has warned him to stay outside politics. In an interview with one of the local TV stations on Thursday, March 14, Mr. Mayanja said he hates politics so he doesn’t wish any of his sons to join something he dislikes. “In fact, I talked with him. Me, I hate politics. In fact, he doesn’t have my blessings,” he said. 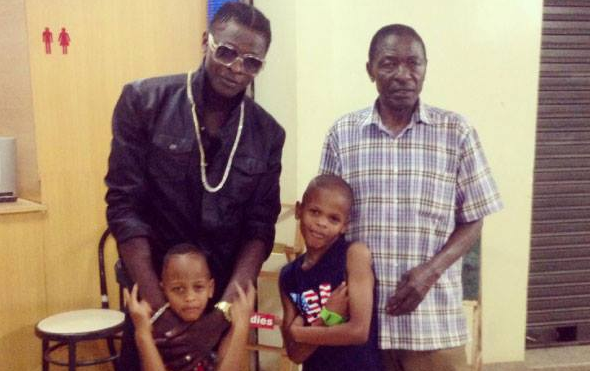 Chameleone has not yet come out to confirm or deny this information, however, his close sources revealed that he will be contesting in the next general elections come 2021. Today, Uganda’s politics has been intervened by musicians and if Chameleone stands, he will be the second musician to influence the politics in one of the highest offices, joining his co-musician Bobi Wine and the Kyadondo East MP who looks forward to challenging Museveni for presidency come 2021. There are other local musicians who have also shown interest in different political positions like Geoffrey Lutaaya, Dr Hilderman, Ronald Mayinja and Mickie Wine among others.